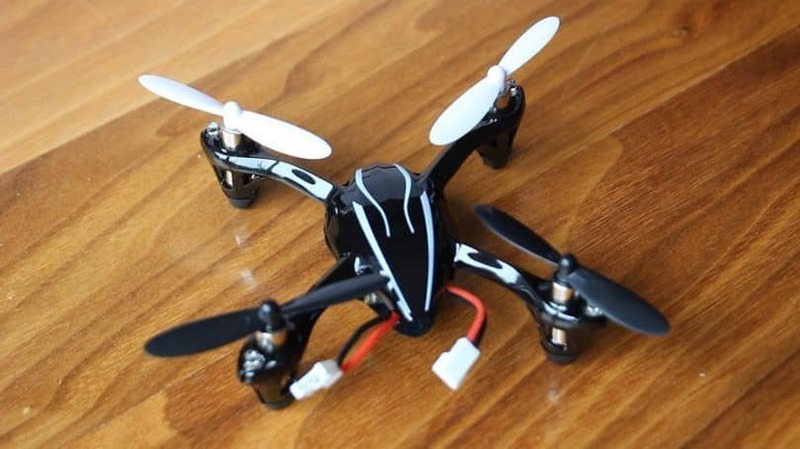 In most cases a quadcopter that has the price of around $40-$80 would be something with a lot to show off. Sadly, it usually ends up being a not-so-great performer or only offers decent flight performance/battery life. The best part about these quadcopters is that you can improve what’s under the hood by adding or removing elements. That’s where the Syma X1 enters the picture. For a quadcopter that will set you back about $45, it sure doesn’t look good, but it is quite promising for the features that actually matter. Is it great, or does it perform short of what the company claims it can do? Let’s find out. Well, for starters, we certainly do not recommend any professional aerial photography with this quadcopter simply because it is very light. You could consider amateur photography and video making if you can somehow incorporate any camera that’s light, small and takes excellent pictures. You can also make use of its versatility and add features such as a metallic chassis and slightly stronger/faster propellers. But there are many other aspects of this quadcopter that still aren’t quite clear. Is it worth the price? Does the controller work? What about the durability? With that in mind, let’s check out what the Syma X1 has to offer. There is not a lot to talk about the package that the X1 comes in since it’s your standard no-frills box that comprises of the quadcopter itself and the controller with the charger for the batteries inside the quadcopter. You will need separate AA batteries for the controller (these aren’t included in the package). The packaging is clean and sturdy and it will handle some accidental drops protecting the quadcopter and controller inside. 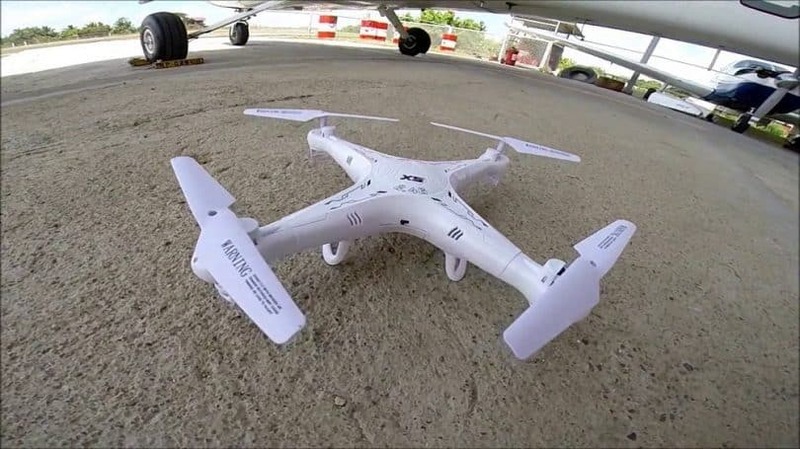 The product tips the scales at 1.3 pounds and measures 14.2 x 2.4 x 14.2 inches, which is a bit smaller than the standard quadcopter size but cannot be considered a mini quadcopter by any means. You can watch the Syma X1 unboxing to get a better idea. Contrary to some other quadcopters, the Syma X1 doesn’t call for the use of any type of soldering/assembly or any other form of relatively complicated stuff to set up. 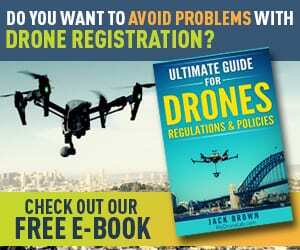 This makes it ideal for those who are just getting started with the use of a quadcopter. It is available in 3 different designs: the UFO, the Spacecraft and the Flying Bumble Bee, which are quite weird in our opinion. Still, they say you shouldn’t judge a book by its cover, so we won’t. The body is actually just a piece of molded plastic that doesn’t serve any purpose other than the looks. Each rotor has an extremely tiny motor inside and they are connected to the central mainframe of this compact yet somewhat durable chassis. The only thing that we fear is that there is nothing which encloses the chip in the middle. Even though the molded plastic is longer than the chip and will tank the damage when falling from a height, it won’t be so effective when the drone falls into something like water. This will most likely damage the circuitry. However, with enough caution, that can be prevented, and considering this trait as a negative with its cost in mind would be nitpicking. The Syma X1 doesn’t include an inbuilt camera, and we actually didn’t expect one (hints the price). But, like most other quadcopters, you can pretty much find an 808 Keychain or FPV kind of camera to make it possible. Users who have tried camera mounting reported that there was a slightly shaky video, but not to the point that it becomes unable to see the recording properly. A few more adjustments should be enough to eradicate this problem too. If you want to experiment, you could try attaching another type of camera, but it has to be light enough. It’s needless to say that the plastic build can easily lean towards one side if the camera is heavy thus making flying really hard. One more thing to note is that the quadcopter supports a lot of room for improvement on both camera and other elements (rotors for example). Still, you must be accustomed to opening drones up and tweaking around inside their elements and circuitry. You’d have to be a real drone enthusiast and have created custom chassis for quadcopter models before is going to be extremely useful. The inbuilt battery is a single cell, 350 mAh Li-Po (Lithium Polymer) battery that can easily be recharged with the USB charger given along with the drone. Since it’s not USB 3.0 or any other new technology, it charges from 0% to 100% within a decent time of 60 minutes. The users have reported a slightly below mediocre flight time of about 8 minutes, but your mileage may slightly vary. The controller itself needs 4 separate AA batteries for you to actually start using the quadcopter the way it is meant to be. The only thing that’s a bit frustrating about the Syma X1 quadcopter is the battery removal mechanism. It’s wanky if we are being honest because it’s impossible to be done with one hand and you’ll actually need to set the drone down on a flat surface in order to be able to use both hands and remove the battery from the plastic holder. Furthermore, tweakers/modders have also reported that charging other Li-Po batteries with the charger included in the Syma X1 is dangerous. Many Li-Po batteries do not include OCP or overcharge protection circuit, thus making those batteries explode if you don’t pay attention to it. Needless to say that the batteries in Syma X1 have OCP, so you can charge them without the worry of overcharge if you forget to unplug them. And if you really need some extra flight time out of your battery, we actually suggest you get more batteries of a lower capacity and fully charge them, instead of using a battery with a double capacity (more amperes per hour that is) on the Syma X1. Even after applying a battery that’s potentially twice as long lasting as the original one, you only get a flight time of 10-12 minutes, which is only a 50% increment in practical tests. Having a battery of the same capacity and even more preferably from the same company, due to OCP assurance, is a good way to get a lot of time from this quadcopter. Made out of a somewhat durable and good quality, the controller does have some not-so-good buttons for the sake of show (meaning they serve no purpose). We would have preferred if they just didn’t include it and left the controller clean. However, on the positive side we have a very good monochromatic LCD screen that acts as a display to show you information regarding the battery percentage and controller movements. The controller itself is radio based and works on the 2.4 GHz band, a frequency where most Wi-Fi signals work. This gives some indication regarding its signal range and makes the controller work outdoors too as long as there is no wind. The default mode available with the controller makes it easy to use for those who are new since the gyroscopic stabilizers come into play and stabilize every axis of movement except for upwards and downwards. The button placement on the controller is easy to access, and, considering that there are 2 bumper buttons on the front left and right side, and 2 D-pad with sticks to control different movements, you can access pretty much any sort of movements without having to leave a single button out of your reach. This simplified control system also allows you to perform some neat tricks like a backflip using just 2 movements on the controller. 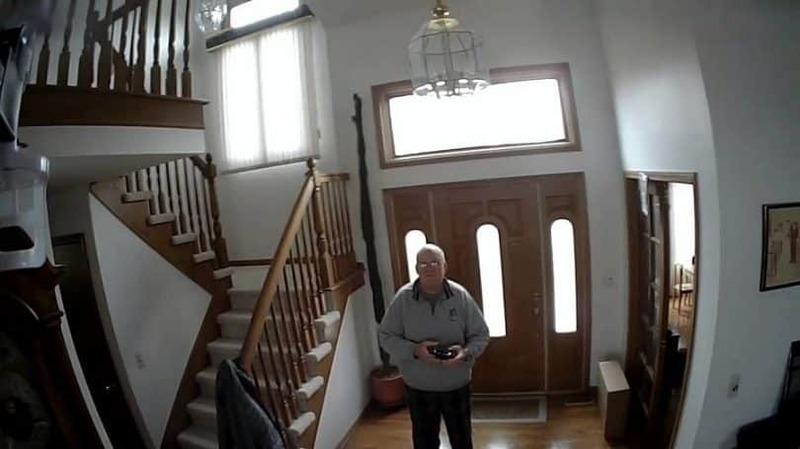 Perhaps the best feature about the Syma X1 is the ability to fly the drone both indoors and outdoors since it has custom modes for both of them. Combine that with the 2.4 GHz controller, and you have a decent flying experience that is actually pretty fun once you start to push its limits. Its stock rotor speeds are fast enough for a decent drone pilot to actually break a sweat to control its proper motion. But, before you set it in motion for the first time, you should actually first lay it down on a flat surface and allow the sensors to calibrate in order to get the intended flight performance. 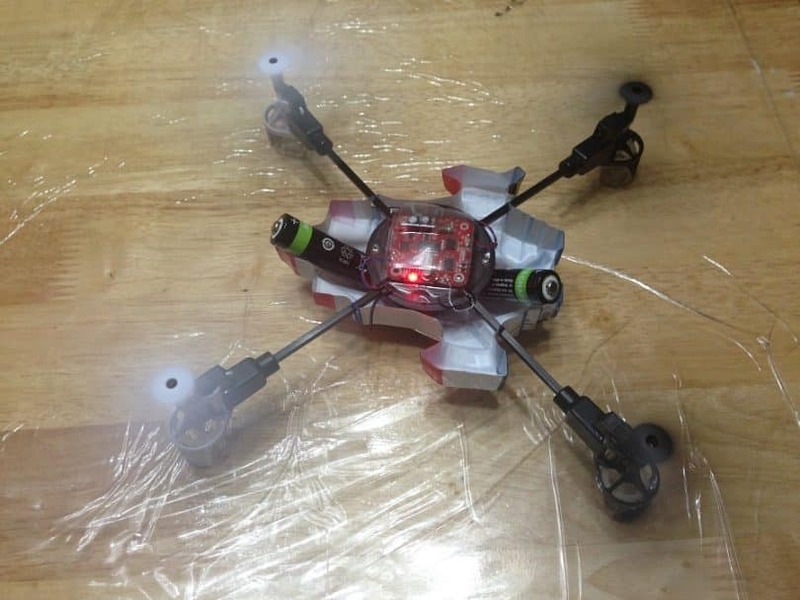 The quadcopter will flash its red LED lights 10 times to let you know that the calibration process is complete. After this has been done, you must turn the transmitter’s left stick (the one which controls the throttle) completely down, which will result in the transmitter making a series of beeps that stops once it has been paired with the Syma X1, indicating that you are good to go. As for the type of maneuvers offered, you can control this quadcopter in forward and back, up and down, left and right, and also sliding side by side, through its four channel mode of operation. This also makes it somewhat complicated but we still recommend it to the ones new to the craft. The default mode is pretty slow and balanced so you can take your time while learning different kinds of mobility in this aircraft. 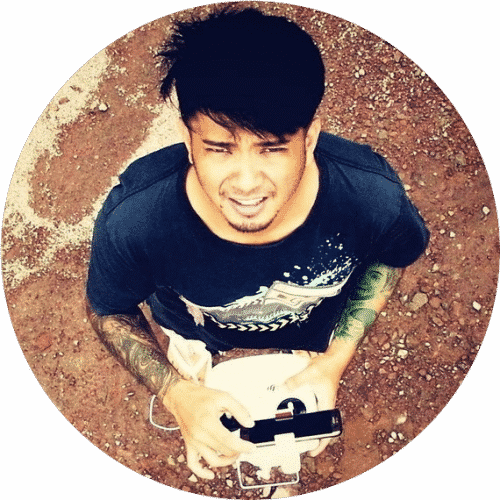 Once you are well versed in the basics, you can easily switch the mode which turns off the gyroscopic stabilizers and gives you more things to control, thus paving the way for different flying tricks. You can check above video to get a basic idea regarding the way it flies. Although the Syma X1 has been bought by people for prices as low as $35, it is comparatively a bit expensive on Amazon right now, at $44. Still, that doesn’t make the quadcopter ‘not worth it’ by any means. We would even go so far to say that this product is worth about $40 if you are getting it at that price, so anything less than that is actually a sweet deal at this point. We say this because not only does this quadcopter perform so beautifully, it is actually close to being flawless, only being left behind by some tiny quirks which can be fixed with a little bit of tweaking. Combine this, and the fact that you can pretty much replace any broken piece of hardware with replacement parts provided by Syma and you get a great first drone. Replacement parts are cheap so you can test out your first flights on this quad before moving to better performing and more expensive ones. You can even buy this as a toy for your kid if you think they might break a costlier quadcopter while flying it. Or you can even buy it for some fun in your backyard on a Sunday afternoon. Well, since it’s a $40 quadcopter you can’t expect the company to actually incorporate something that came out of the R&D department, but considering the low cost, the 4-channel gyroscopic stabilized operation is a huge plus. Especially considering that most quadcopters only have a 3-channel model. 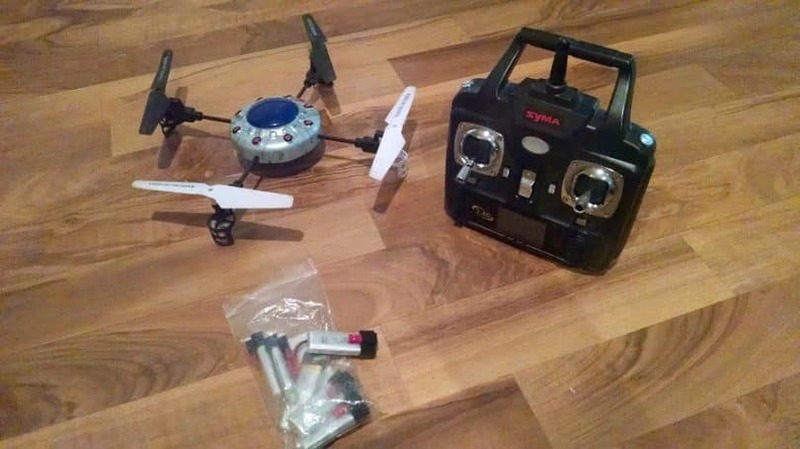 Besides that, its versatility is also very good since you can almost change any aspect of the quadcopter in order to make it suitable for your needs. Whether you prefer looks or if you favor better flight performance or you just want the quadcopter to last for a longer time, everything is possible in the Syma X1. Even though after listening to all these features it might look like the Syma X1 is one of a kind, we can guarantee you that there are more than a few competitors out there who have features that are similar (or even better). Here are 2 competitors that actually were pretty close, and even better in some aspects, than the Syma X1. 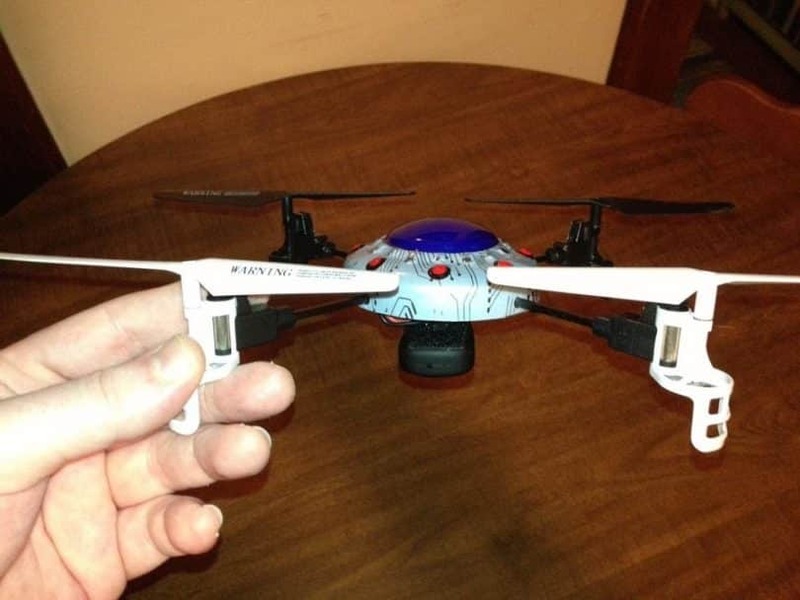 One look at this quadcopter and you’ll notice the first difference is in aspect. 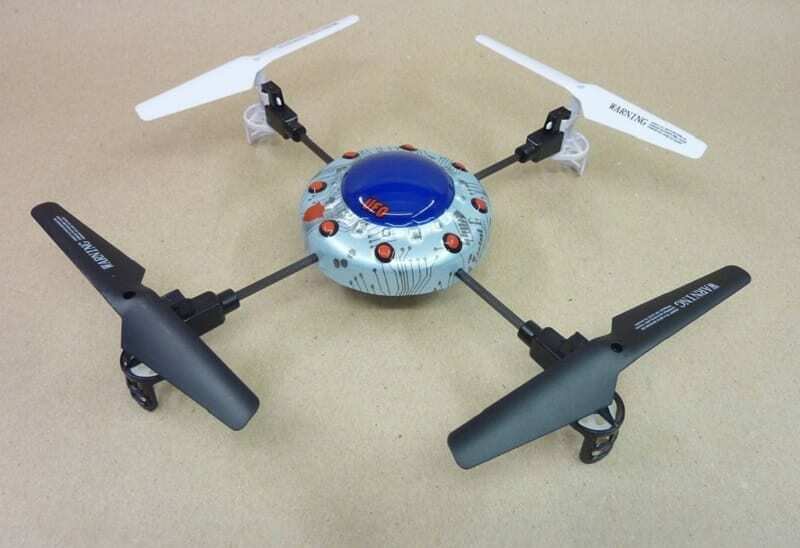 Hubsan X4 is more aggressive in design and promotes a fully enclosed frame. The black and white coloring is definitely superior to the Syma X1 colors, and the difference doesn’t stop here. You can definitely see that the frame material is different as well. Even more, the Hubsan X4 trumps X1 in terms of protection. The Syma X1 features a partially enclosed plastic frame while the Hubsan’s interior circuitry and elements are completely secured. This way, if you lose the Hubsan in a bush, the damage should not be that big, while with the Syma, you might have to replace a thing or two. In terms of battery life, the Hubsan X4 only supports a 270 mAh battery which will deliver just 5 to 8 minutes of flight time. On the other hand, the Syma is lighter and supports a bigger battery (350 mAh) that can be easily replaced with a bigger one. However, the Syma won’t fly for more than 10 to 12 even if the battery is more powerful. In any other department, the Hubsan X4 is pretty similar to the X1, be it flight performance, controller or value for money. And, for a better insight into this model’s features, we suggest checking out our Hubsan X4 in-depth review. 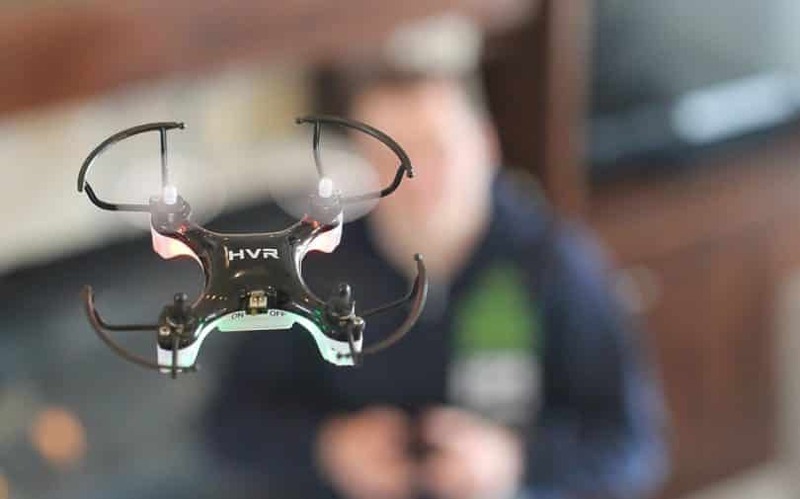 Apart from being considered the smallest drone on the market the HVR is also equipped with a camera, one 4 GB memory card and a memory card reader within a $50 budget. 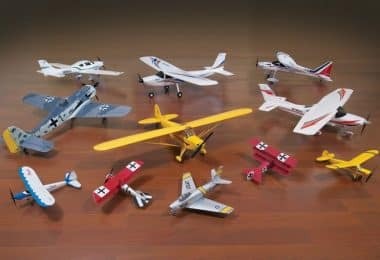 All these are not included in the Syma X1 which is slightly bigger and could support such a kit. For that, we consider the HVR mini drone slightly better than the x1 in terms of value for money and features. 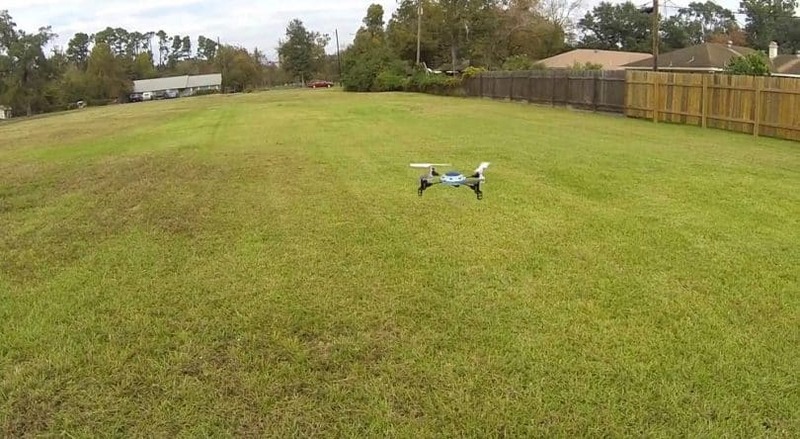 Both drones can be used indoors and outdoors, but the outdoors is a bit more risky. You should not fly either on a windy day as both are extremely light. Even more, the Syma X1 is not the well-protected and you might end up with a broken drone. 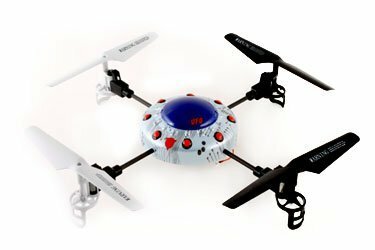 The HRV mini drone comes with propellers protection and has a fully-enclosed frame which makes it more resistant. However, if it is taken by the wind, it may be difficult to recover. With the HVR mini drone, the average flight time is about 5 minutes, so you can’t expect a lot of mileage if you decide to buy it. If you just want to have fun, on a sunny day, both models are great, but the Syma X1 will offer more flight time. If you are looking for another great drone in that $50 budget which is similar to the Syma X1, then the X5 model might suit you. It comes with most of the same specifications as its cousin, with the only point of differentiation being the better plastic body that surrounds the entire quadcopter and the bigger 500 mAh battery that’s included. Even though is still in the range of budget drones, the X5 is definitely better in build quality than the X1. Also, since the entire body is in one color, the X5 supports colorful flashing lights to guide you during navigation. In terms of resistance, the X5 is better at surviving a crash or going through bushes. However, you should avoid this for as much as possible. The X5 can be equipped with propeller protections that keep the drone from getting the blades tangled in leafy areas and they provide wear protection during flight. Since the X5 is equipped with a bigger battery, it does take longer to charge (about 100 minutes). Also, the extra flight time is not that much as you’ll only get about 7 to 8 minutes of constant airborne time. This is very similar to what the X1 is able to offer, with a smaller battery. For a better insight into this generation, we suggest checking out our article about Syma X5 series. The battery insertion process is a bit difficult. The manual doesn’t state everything in detail (as per user reports). With that being said, it shouldn’t be a surprise that the Syma X1 does not fail to impress. The Syma X1 budget drone has great flight flexibility,speed and control. It has amazingly low price and versatility. Syma X1 controller performs very well and have a great battery life. 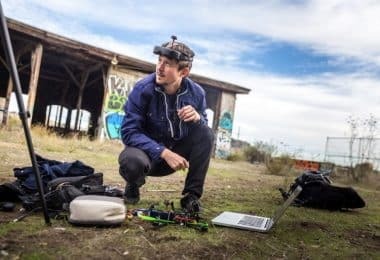 We would certainly pick it over quadcopters that cost more than $150 for the first flight attempts, simply because it moves and performs quite well. 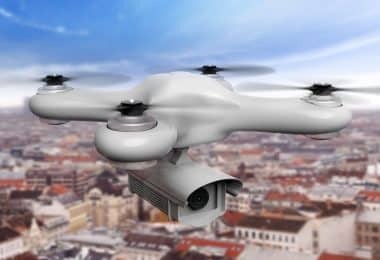 BLOG Spy Drones: Your Watchful Eye in The Sky!